Hacking still the biggest cause of data breaches and the breach count has risen once again in 2017, according to a new report released by the Identity Theft Resource Center (ITRC) and CyberScout. In its half yearly report, ITRC says 791 data breaches have already been reported in the year to June 30, 2017 marking a 29% increase year on year. 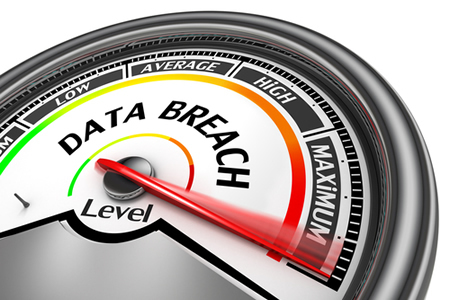 At the current rate, the annual total is likely to reach 1,500 reported data breaches. If that total is reached it would represent a 37% increase from last year’s record-breaking total of 1,093 breaches. Following the passing of the HITECH Act in 2009, the Department of Health and Human Services’ Office for Civil Rights (OCR) has been publishing healthcare data breach summaries on its website. Healthcare organizations are required by HIPAA/HITECH to detail the extent of those breaches and how many records have been exposed or stolen. The healthcare industry leads the way when it comes to transparency over data breaches, with many businesses failing to submit details of the extent of their breaches. ITRC says it is becoming much more common to withhold this information. In the first 6 months of 2017, 67% of data breach notifications and public notices did not include the number of records exposed, which is a 13% increase year on year and a substantial increase from the 10-year average of 43%. The lack of full information about data breaches makes it harder to produce meaningful statistics and assess the impact of breaches. 81.5% of healthcare industry data breach reports included the number of people impacted – a similar level to 2016. ITRC points out that does not mean healthcare organizations are failing to provide full reports, only that HITECH/HIPAA regulations do not require details of breaches of employee information to be reported. The OCR breach portal shows healthcare industry data breaches in the year to June 30, 2017 increased by 14% year on year. 169 breaches were reported in the first six months of 2017 compared to 148 in the same period in 2016. The biggest cause of U.S data breaches is still hacking according to the report, accounting for 63% of data breaches reported in the first half of the year across all industries – and increase of 5% year on year. Phishing, ransomware, malware and skimming were also included in the totals for hacking. 47.7% of those breaches involved phishing and 18.5% involved ransomware or malware. The second biggest causes of U.S. data breaches were employee error, negligence and improper disposal, accounting for 9% of the total, followed by accidental exposure on the Internet – 7% of breaches. The OCR breach portal shows 63 healthcare data breaches were attributed to hacking/IT incidents – 37% of the half yearly total. That represents a rise of 19% from last year. In close second place is unauthorized access/disclosure – 58 incidents or 35% of the total. A 14% decrease year on year. In third place is loss/theft of devices – 40 incidents or 24% of all healthcare data breaches. A 4% fall year on year. The remaining 4% of healthcare data breaches – 7 incidents – were caused by improper disposal of PHI/ePHI.